Are you in need of a window cleaner? Then check our company out. Our window cleaning service in Cricklewood will fascinate you. First of all, we have fair prices. Then, we are quite experienced in this business. We are also skilled and detail-oriented. We use the latest cleaning equipment. We always have a plan. Our operating hours are extended, from Monday to Sunday. Each technician is insured, screened, bonded and trained. 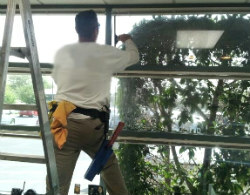 We tend to yield the desired results, which are shiny and streakless windows at all times. We can do this. Give us a call and make an appointment. We give windows a deep clean, which means that we clean from left to right, top to bottom, ensuring that no streaks or marks are left on the glass. In addition, we wipe down window frames, screens and sills. Our window cleaning service in Cricklewood is a great deal. Our window cleaning program in Cricklewood is very thorough, that’s why the results we get are so good. We never stop until all the nasty stuff comes out and we can see our reflection in the glass. We have done many windows, so we have plenty of experience. We guarantee that you will be satisfied. If you are interested to know what our past clients think about us, you can check our testimonials. It has to be said that our company operates Mondays through Sundays. 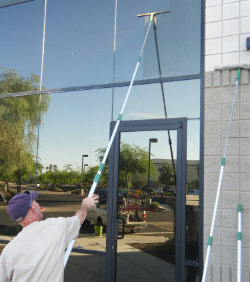 If you need to have your windows cleaned on a specific day of the week, just make sure to let us know. We will try to fit you in. Don’t miss out on this opportunity. You can have your windows spotless in the blink of an eye. No effort on your part. You’ll just sit and watch us as we are getting the job done. Take advantage of our offer. Give us a call today and book a service.